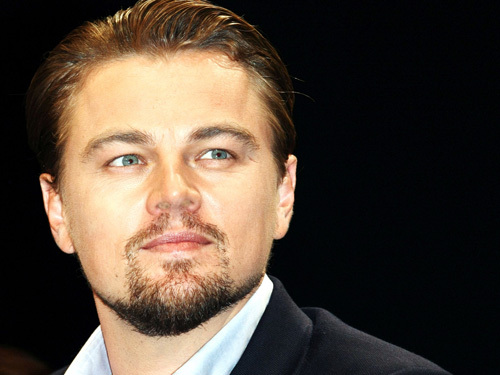 Leonardo Wilhelm DiCaprio is one of most popular and acclaimed actors in the world. DiCaprio was born in Los Anglese, California on November 11, 1974) and has either produced or acted in many hit Hollywood films. As a Hollywood star, Leonardo DiCaprio has received many accolades for his movie roles including being nominated for the Golden Globe Award nine times as an actor. DiCaprio did win the Golden Globe Award in 2005 for Best Actor based on his stellar performance in movie – The Aviator in 2004. Growing up, Leonardo DiCaprio was seen in several several commercials plus TV shows, but he received his big break in 1991 at the age of 17 when he played a homeless boy named Luke in the hit TV sitcom – Growing Pains. Before he became one of the world’s biggest stars, Leonardo’s film debut was in the comedic sci-fi horror film Critters 3. He played the stepson of an evil landlord. Over the last decade, Leonardo DiCaprio has proven not only his star appeal as an actor but also demonstrated is excellent acting skills. DiCaprio has played roles in a series of Hollywood movies, including – Catch Me If You Can (2002), Gangs of New York (2002), The Aviator (2004), Blood Diamond (2006), The Departed (2006), Revolutionary Road (2008), Inception (2010), Shutter Island (2010), and Django Unchained (2012). To date, the movie role that Leonardo DiCaprio is best known for his mega-hit Hollywood blockbuster – Titanic. Introduced in 1997, Leonardo played the role of Jack Dawson during the maiden voyage and eventual sinking of the RMS Titanic in 1912. DiCaprio stars in another potentially big movie – The Great Gatsby, opening in U.S. movie theaters Friday, May 10th. The Great Gatsby is a 3D romantic drama and an adaptation of F. Scott Fitzgerald’s 1925 novel. Set during the Roaring Twenties, the movie portrays the luxurious life and times of millionaire Jay Gatsby and his neighbor Nick. In addition to Leonardo DiCaprio, the movie also stars Tobey Maguire and Carey Mulligan.